We designed these three-inch thick custom arched doors for the Greenman Brewery when they built their new production facility and tasting room in downtown Asheville. 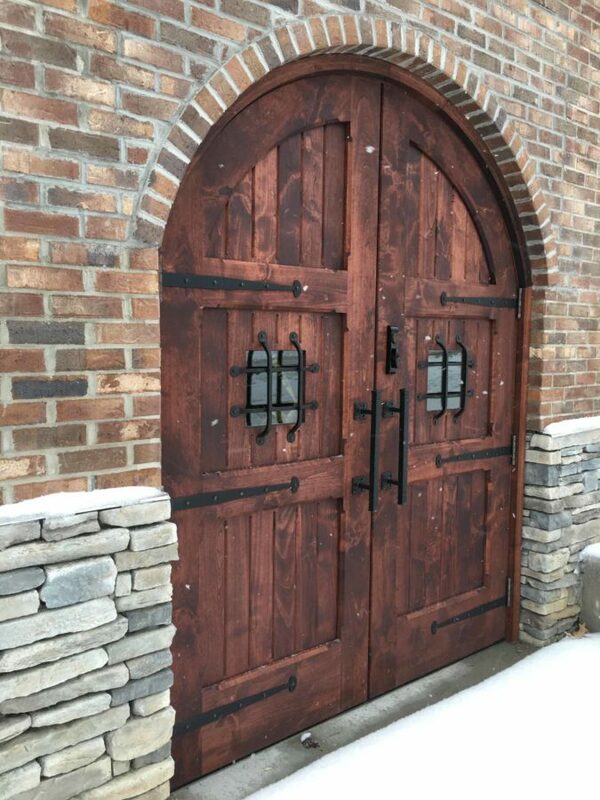 Although they are heavy, these fortress-like doors swing easily and feature strap hinges and iron hardware. They are made of chamfered alder wood with with a durable Penofin stain. These doors help give this new building the character that gives it its nickname—”The Green Mansion”.